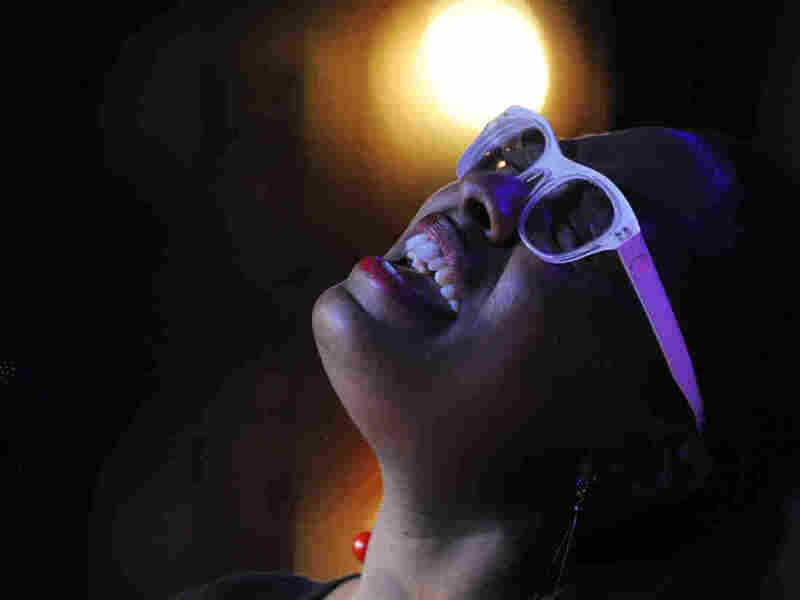 Cécile McLorin Salvant: Making Old Songs New Again The 23-year-old jazz phenom's debut album showcases her takes on vintage jazz and blues numbers by Bessie Smith, Fats Waller and others. Miami-born CÃ©cile McLorin Salvant learned about improvisation and sang with her first band after moving to France in 2007. Singer Cécile McLorin Salvant was born in Miami to French and Haitian parents, and started singing jazz while living in Paris. Back in the U.S., she won the Thelonious Monk vocal competition in 2010. The 23-year-old's first album, WomanChild, is now out — and few jazz debuts by singers or instrumentalists make this big a splash. Salvant's unusual material sets her apart as much as her chops do. The most recent non-original tune on her nervily accomplished debut is by Fats Waller. A couple tunes were recorded by 1920s blues star Bessie Smith and a couple more are older than that. Salvant also does two or three bona fide 1930s standards, as well as a 1935 curio by singing trumpeter Valaida Snow, who had her own Parisian minute early on: "You Bring Out the Savage in Me." Singing "I Didn't Know What Time It Was," Salvant doesn't just fine-tune her pitches; she'll also shade her vocal timbre from one phrase to the next. You can trace some of her effects back to Sarah Vaughan, Betty Carter and Abbey Lincoln, and maybe Paris-trained Madeleine Peyroux and Catherine Russell's early jazz period pieces. But Salvant uses their examples mostly to illuminate the possibilities. She has her own sense of drama. The 1906 song "Nobody" comes from comedian Bert Williams — the droll Caribbean-American entertainer who didn't sing a song so much as act it out. Nina Simone also performed this ode to cranky individualism in the '60s, but its character sketch sounds more contemporary now, even with archaic musical touches in the refrain. You can hear how much time pianist Aaron Diehl's trio with bassist Rodney Whitaker and drummer Herlin Riley put into working with the singer, to make every piece distinctive and brick-solid. In the oldest tune, the man-versus-machine ballad "John Henry," Diehl chokes the piano strings with his free hand for a percussive prepared-piano effect. He makes you hear those hammers. 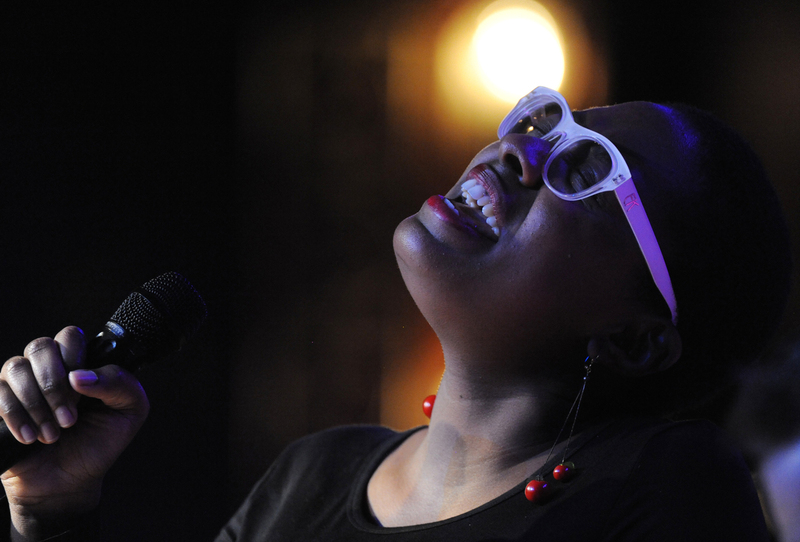 Cécile McLorin Salvant makes it all sound not effortless exactly, but sorta easy. You get the strong impression she's having a blast. In a way, that ease of execution is a problem — it creates the temptation to top herself and go for the Extra Big Moments, like the killer high-note ending of "What a Little Moonlight Can Do." It makes sense that she'd exploit her extreme highs and lows; she won't be able to reach them forever. And age tends to calm folks down, so the over-exuberance may take care of itself. My point is this: Salvant doesn't need to try to knock us out. We're already knocked out.